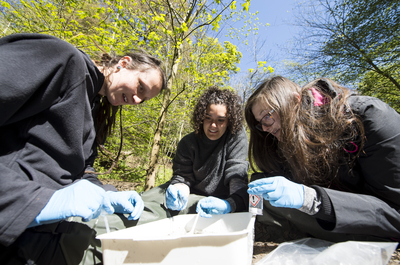 Edinburgh Napier is celebrating recognition at the forefront of wildlife and conservation teaching and research after becoming the first university in Scotland to receive accreditation from a leading professional body. 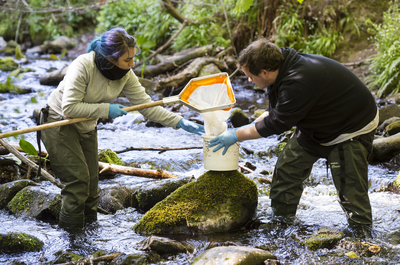 The Chartered Institute of Ecology and Environmental Management (CIEEM) presented Edinburgh Napier with accreditation for both the full-time and part-time routes of its MSc Wildlife Biology & Conservation course, making the University the first and only institution in Scotland to receive the honour. 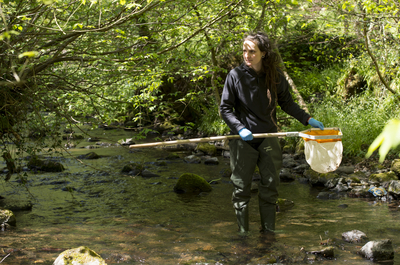 The course, which combines the disciplines of wildlife biology and conservation biology, was designed in conjunction with employers and professional bodies and received recognition from the CIEEM for its main focus on developing practical employability. In order to be awarded the accreditation, the teaching team had to submit a detailed report about the programme alongside CVs for the core teaching team. Two assessors from CIEEM then made a visit to Edinburgh Napier. Dr Patrick White, lecturer in Conservation Biology, said: “We gave them a presentation, a tour of the building, they met our technical team, we gave them examples of student work, and they interviewed a number of current students and recent graduates. We received very positive comments from the assessors on the day, and they subsequently submitted a report to the CIEEM governing board. Because the course is fully aligned with CIEEM’s competency framework, which promotes high professional standards within the environmental and ecological sectors, it also provides an opportunity for Edinburgh Napier students to gain recognition when they graduate. “Graduating with a CIEEM accredited degree means a simpler process of applying for GradCIEEM membership, and CIEEM membership is desirable or essential criteria for many graduate jobs in the ecology and environmental sector,” explained Dr White. “It ensures close links between the course and CIEEM so that as the discipline/industry evolves, and employers require new skills from graduates, the course can evolve to meet those requirements. Dr Gilpin, Environmental MSc programme leader, said graduates will now face a simpler application process and will be able to tap in to a range of extracurricular courses with their CIEEM student membership. “We hope that accreditation will help us stand out to applicants who are selecting an MSc programme and looking towards employment opportunities,” she added.